Summary: Sometimes it can be difficult to follow a perfect diet. Even for those who know the importance of a pure organic diet of whole foods, it can be difficult to maintain that during times that are busier than normal. When a busy schedule kicks in, the need for convenience can take over. Luckily, you don't have to sacrifice health for convenience. Sometimes it can be difficult to follow a perfect diet. Even for those who know the importance of a pure organic diet of whole foods, it can be difficult to maintain that during times that are busier than normal. When a busy schedule kicks in, the need for convenience can take over. Luckily, you don’t have to sacrifice health for convenience. 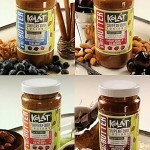 Kolat was founded by a nutritionist who realized that even she had a hard time following her own nutrition advice. 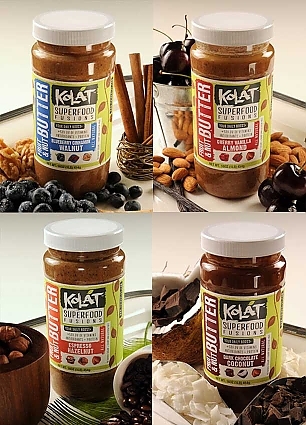 She created Kolat, a nutrient-rich super food, to assist those who need food packed with antioxidants, essential minerals, healthy fats, and phytonutrients, but who don’t have a ton of time. Kolat foods have 50% of the Recommended Daily Value of vitamins per serving, making it a perfect food for adults and kids. Ranked among the highest in overall antioxidant potential, blueberries and omega 3 rich walnuts are known for their immune-boosting effects and brain-health promoting properties. Combined with cinnamon, a warming spice known for its ability to stimulate many vital functions including your circulatory system and your metabolism. Giving you that extra boost, this superfood fusion will make you feel like you can conquer the world … or at the very least, tackle that looming deadline you’ve been putting off! Blueberry Cinnamon Walnut, packed with cinnamon, blueberries, Organic Coconut oil and dates. It’s full of Vitamins:A, B1, B2, B3, B6, B12, Biotin, Folic Acid, Pantothenic Acid, C, D2, E, K.
Cherry Vanilla Almond, made with almonds, dates, cherries, organic coconut oil and natural vanilla. Full of A, B1, B2, B3, B6, B12, Biotin, Folic Acid, Pantothenic Acid, C, D2, E, K.
Dark Chocolate Coconut, a rich, delicious blend of almonds, shredded coconut, dates, organic coconut oil, natural vanilla and unsweetened cocoa powder. This mix contains vital Vitamins: A, B1, B2, B3, B6, B12, Biotin, Folic Acid, Pantothenic Acid, C, D2, E, K.
Espresso Hazlenut, a decadent mix of hazelnuts, almonds, dates, ground espresso bean and organic coconut oil. It contains Vitamins: A, B1, B2, B3, B6, B12, Biotin, Folic Acid, Pantothenic Acid, C, D2, E, K.
When we got our hands on the Blueberry Cinnamon Walnut Fruit and Almond Butter, as well as the Dark Chocolate Coconut Fruit and Almond Butter, we were, admittedly, dubious. We’ve had holistic whole packaged foods that, while they may have been good for us, were not very palatable. Luckily, Kolat did not disappoint. The Blueberry Cinnamon Walnut Fruit & Almond Butter smells beautifully of cinnamon, with a full, nutty aroma. The taste is full and rich, and this delicious mixture is filling and satisfying. It tastes unbelievable with apple slices and carrot sticks. It’s a perfect snack in between meals, and would be perfect for the kiddo’s lunchbox. The Dark Chocolate Coconut is unbelievably decadent. It’s a rich, nutty flavor that feels like dessert and not like a superfood. It feels indulgent but it’s so good for you. This is one of their best sellers and we can see why, it’s rich and delicious. It tastes perfect with sliced pears and strawberries. If you’d like to try Kolat, it is in distribution many states, and available on Amazon.com.